When New York’s famed Max Fish bar opened in 1989, it has since remained a pillar in the East Coast skateboarding scene. And despite momentarily closing in 2010, there has been a constant presence of skaters, creatives, the Intelligentsia, and of course the varied assortment of grin-inducing derelicts. Meanwhile, on the West Coast—the birthplace of skate culture thanks to the Dogtown Boys and the ZBoys—there wasn’t a social spot which specifically catered to that in the way that Max Fish did. Until BLACK opened in Hollywood. And they, perhaps more importantly, want to create something different from the plethora of other skate-centric bars that dot the city’s landscape. McManus and her partner in business Bethany Black are a pair of nighttime veterans in the bar scene in Los Angeles, with McManus having operated the famed Viper Room from 1993 to 1998, where Bethany also worked; following, they ran the Darkroom on Melrose. 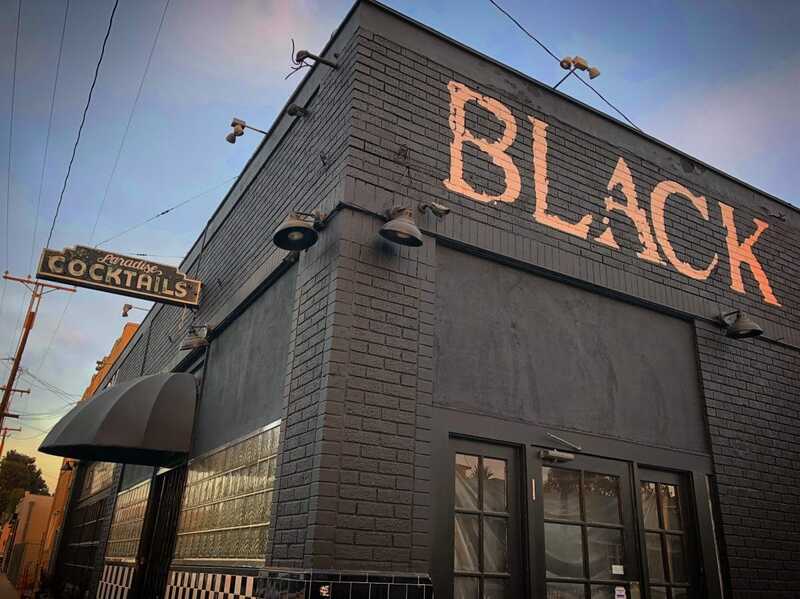 It wasn’t until 2013 that BLACK, situated off the 101 on Santa Monica Blvd., became their focus (bringing on skating photographer Atiba Jefferson on as an investor, who admitted that BLACK itself was modeled after Max Fish). On top of this duo, Long Beach’s BLACK brings on famed skateboarder Heath Kirchart as a partner. Catering to that skate crowd at this particular location, Broadway and Hermosa, is crucial: it is a few stumbles from Bixby Park, one of the city’s epicenter for skating youths and a hub for skating activities in general. And beyond that locality, Long Beach has a rich history in skating culture and deserves a social space of its own that goes beyond skate parks. While the aforementioned incorporation of its Hollywood vibes are key to the feel of their future Long Beach location—think New York-like meets chill, unassuming vibe—perhaps the most staggering difference with its newer locale is the fact that BLACK will be expanding into all-day hours and a full kitchen. Jessica DellaTorre (alumna of Scribe Winery in Sonoma) will act as general manager at BLACK Long Beach, and will partner with Jeff Boullt as Kitchen Manager. But beyond that, McManus said the key to the bar’s success will not be its transference of Hollywood vibes or trying to replicate the Hollywood location; the key will be what she initially alluded to: having its vibe organically grow. BLACK Bar is located at 1800 E Broadway in Alamitos Beach.